The European Parliament Committee awarded the Sakharov Human Rights Award “For Freedom of Thought” to Ukrainian film director Oleg Sentsov. This is being reported by RBC, with a reference to the press service of the parliament. Sentsov’s candidacy for the award, which has been awarded since 1988 to people and public organizations who have distinguished themselves in the field of defending rights and fundamental freedoms, was put forward by The European People’s Party. The award ceremony will take place on 12th December in Strasbourg. The awards prize consists of €50,000. Dmitry Dinze, Sentsov’s lawyer explained that Natalya Kaplan, the film director’s cousin will receive the European Parliament Award on his behalf. “A document will be drawn up – a power of attorney to Oleg’s cousin, and she will receive this award.” According to Dinze, he does not know exactly what Sentsov will decide to do with the money from the prize. “Most likely, he will give some money to his children, maybe part of the award will be budgeted on some projects, Oleg and I haven’t had time to discuss it, I do not fully know his opinion”, the lawyer said. In addition to Sentsov, among the finalists of the award was Naser Zafzafi, the leader of the Moroccan mass protest movement Hirak, fighting corruption, oppression and abuse of power. In May, 2017, Zafzafi was taken into custody, and later sentenced to 20 years’ imprisonment for “conspiracy against the security of the State.” Non-governmental human rights organizations that conducted search and rescue operations in the Mediterranean and saved lives of refugees also were considered for the Sakharov Prize. The winner of last year’s award was the democratic opposition of Venezuela. The award last December was presented to the President of the National Assembly of the Republic, Julio Borges. In previous years, the South African President (from 1994 to 1999) Nelson Mandela, UN Secretary-General Kofi Annan, Iraqi human rights activist Nadia Murad, Russian human rights activists Lyudmila Alekseeva, Sergey Kovalev and Oleg Orlov and others were also winners of the Sakharov Prize. 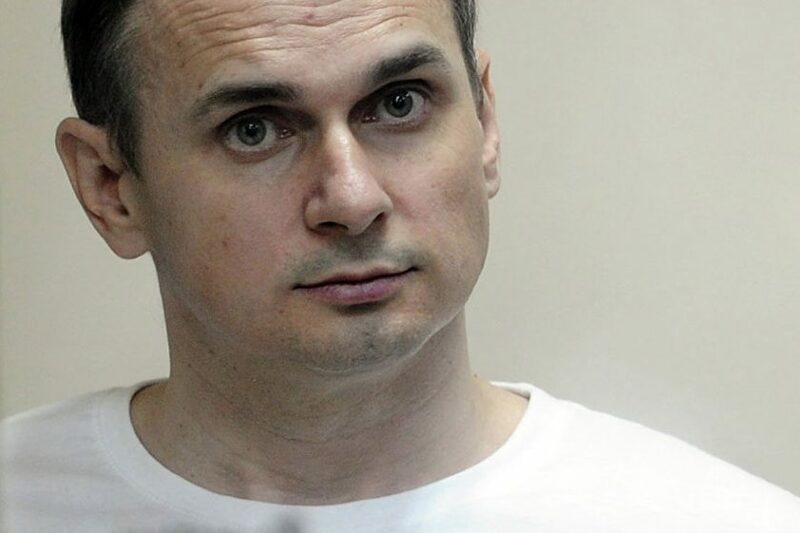 In 2015, the court sentenced Oleg Sentsov to 20 years in a penal colony on charges of plotting terrorist acts in Crimea. He is serving his term in a correctional colony in Yamal. From May until October, he was on a protest hunger strike for 145 days. The convicted film director has been demanding the release of Ukrainian political prisoners imprisoned in Russia. He did not include himself in this list and did not petition for the charges to be dropped.